Because of its satiating effect, it has been widely purported that a high-protein beverage may reduce subsequent appetite and food intake in healthy aged individuals, therefore annihilating any supplemental effect. 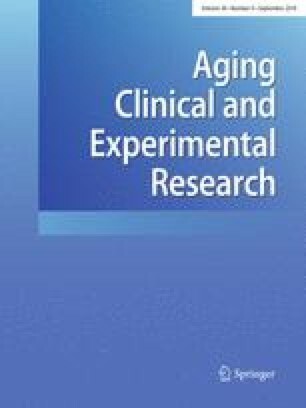 The goal of the study was to examine the impact of a post-exercise protein supplement from dairy products in the hours following resistance exercise on subsequent energy intake, sensation of hunger, appetite and satiety in sarcopenic older men. A randomized double-blind crossover study with three experimental conditions was performed. Nine sarcopenic older (64 ± 3 years) men participated in three experimental conditions: post-exercise protein supplementation made from (1) cow’s milk (13 g of proteins); (2) rice milk (isocaloric protein-free beverage) and (3) water (control). Subsequent energy intake was measured with a test buffet and a food record over the rest of the day. Assessment of appetite, satiety and hunger were obtained by visual analogue scales at various times before and after the buffet. Appetite, feeling of hunger and satiety and subsequent energy intake were not significantly different between the three experimental conditions. However, when participants were supplemented with cow’s milk, total fat intake during the day of the intervention was significantly lower than with other supplements (p ≤ 0.05). Post-exercise consumption of protein supplements made from dairy products appear not to compromise daily nutritional behavior and does not confer the anticipated negative impact on nutritional intake in sarcopenic older men. The authors gratefully thank all participants of this study. Mathieu Maltais analyzed the data, written the paper and help develop the protocol. Morgane Du Bois-Dit-Bonclaude has conducted the research, analyzed data and contributed to the paper with the contribution of Taha Amamou, who also helped in the analysis of data. Isabelle J. Dionne is the corresponding author who designed the study. No companies or manufacturers will benefit from this study. Authors do not have any conflicts of interest in this study. Isabelle J. Dionne receives support from the Canadian Research Chair on exercise recommendations and healthy aging. This work was also funded by the Quebec Research Network on Aging (RQRV). The procedures were approved by the Ethics Committee of the Geriatric Institute of the University of Sherbrooke (CIUSSS-CHUS) and in accordance with the Helsinki Declaration of 1975 as revised in 1983. Written informed consent was obtained from all participants before entry in the study.